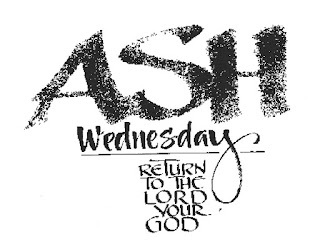 Today is Ash Wednesday, the beginning of Lent. 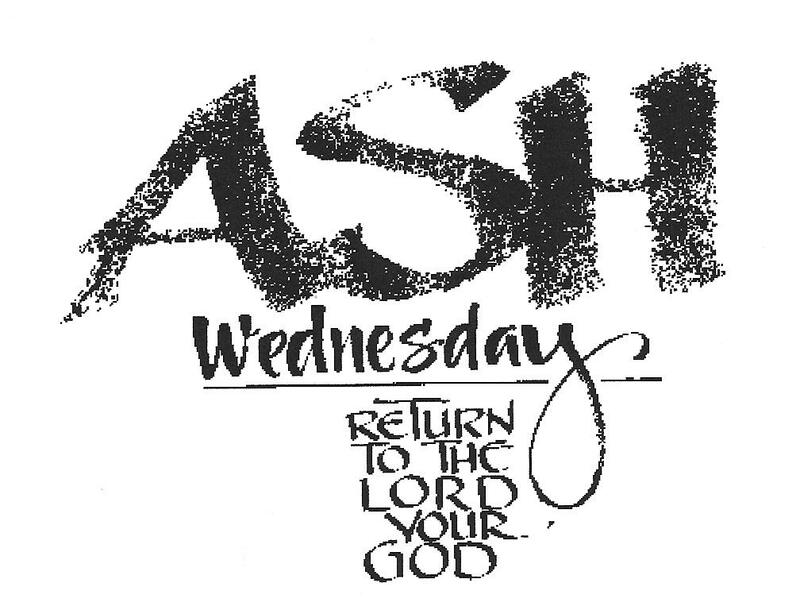 Throughout the western Church many people in different denominations will find themselves in church and increasingly on street corners or at train stations and elsewhere, having a cross in the form of ashes drawn on their foreheads while these words (or something similar) are said: "Remember you are dust and to dust you shall return." Those of us who are in church a great deal notice that Ash Wednesday is one of the most well attended days of the year and I always find that quite moving. This is not a day of great joy, but neither is it a day of great doom and gloom. In fact, in many ways, I believe it is perhaps the most realistic day of the entire church year. We are told a certain fact when we present ourselves for ashes: we are dust and to dust we will return. In other words, at some point - we are all going to die. And that seems an important fact that people wish to remind themselves of once a year. But the real purpose of reminding ourselves of this fact is not to spend a great deal of time pondering our deaths, but rather to simply remind ourselves of this fact and get back to pondering how best to live. And once we've pondered that, then it's time to actually go on living, loving, praying, serving, laughing, crying, working, resting and finding new ways to embrace all that God has given us to embrace. I particularly love the "Invitation to a Holy Lent" found in the Book of Common Prayer that we use in the Anglican world. In it, the Presider at the Ash Wednesday service invites us to a holy Lent and gives us ways to engage in just that. This invitation includes: self-examination and repentance; prayer; fasting; self-denial; and by reading and meditating on God's holy Word. With each blog entry in the earlier parts of Lent I will reflect on one of these invitations in no particular order. On Ash Wednesday, I cannot help to think about fasting. Some people like to engage in abstinence from meat. This is popular among many Christians on Ash Wednesday and throughout Fridays (and sometimes other days as well) during Lent. For others, who wish to go a step further, fasting from most or all food for the day is a practice that they find spiritually nourishing. 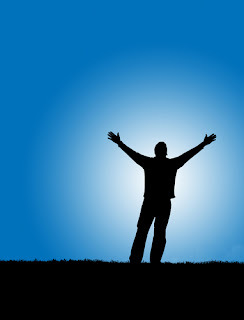 I am going to engage in fasting, but the focus of my fasting will be on noise. The noise that comes from my own mouth, the noise that comes from others, the noise that comes from the internet and other electronic devices. Noise be gone! When society is made up of men who know no interior solitude it can no longer be held together by love: and consequently it is held together by a violent and abusive authority. But when men are violently deprived of the solitude and freedom which are their due, the society in which they live becomes putrid, it festers with servility, resentment and hate. A lack of interior solitude violently destroys who we are, what we are called to be, who are neighbors are, and who they are called to be. Merton, in the early 1960's was so alarmed at the noise of our in modern society (he died in 1968) that he raised a serious alarm. Can you imagine if he knew what our lives would become in the twenty-first century? If any think they are religious, and do not bridle their tongues but deceive their hearts, their religion is worthless. The tongue is a small member, yet it boasts of great exploits. How great a forest is set ablaze by a small fire! And the tongue is a fire. The tongue is placed among our members as a world of iniquity; it stains the whole body, sets on fire the cycle of nature and is itself set on fire by hell...but no one can tame the tongue - a restless evil, full of deadly poison. All wars, all violence, begin with words. Our tongues are so often out of control in our personal relationships, our work relationships, our church, national and international relationships. Too often when we spout off about the "other" we use words that are fear based, ignorance based, selfishly based. This is the fast I wish to engage - a fast from words that harm, frighten, belittle. Let peace begin with my silence. Let it begin with me. Now this should not be confused with not speaking out against injustice. Of course that is a major aspect of living a contemplative non-violent life. But that is also for another blog entry. For today and for the rest of this beginning of Lent, I will concentrate on increasing my own inner solitude by refraining from speaking ill of another and by growing the amount of time I spend in silence. By growing this contemplative practice - even if all we do is to add one minute per day of silence when we are not speaking, others are not speaking with us, and we are not engaged with electronic media - in other words, when we throw a little water on that fire that has set the forest ablaze - we will find ourselves held together just a little more by love. This was Merton's hope. It is mine as well. Non-violence begins with us and it begins with very small gestures and practices but with a very large hope. Prayer: add some amount of time to expand our silence each day (one minute, one hour...whatever seems realistic) while focusing on our breathing. Action: fast by bridling our tongues - when we want to make the sassy comment or the rude comment or the really angry comment take a deep breath instead and remember - you're fasting! Blessings to you Paige. May you experience a holy Lent. Hi! I'm not even a Christian and found this to be inspiring. Thank you!